Novi Michigan Real Estate Agent Specialist also serving Livonia, Farmington Hills, Northville, Plymouth and surrounding area's Michigan. We have a passion for our area and all there is to do close to home. Real Estate Agents proudly servicing our clients real estate needs the area's of Livonia Michigan, Northville Michigan, Novi Michigan, Plymouth Michigan, Commerce Twp Michigan, Farmington Hills Michigan, Farmington Michigan and surrounding area's. Featured Videos--Showing Why our Area is Great! Adventures close to home--Novi, Livonia, Northville, Farmington Hills, Commerce, Plymouth and surrounding area's. Has your Michigan property/home been on the market and not sold??? I'm so glad your here! We have specialized training and skills to show you how we sell homes NO MATTER what the current real estate market is. * We have available STATISTICS that will show you how much your offer should be. This is how we will prepare our offer amount: We will run a report using the most recent comparable sold home's in the area and come up with what we think the home is worth in our current market. This will adequately prepare us for the appraisal process and ensure YOU are getting the best price possible. * We have done this many times before, put our EXPERIENCE to work for you. We will get the results you are looking for! We also have the ability to manage the entire transaction from start to finish. We are a full time real estate team working together to make sure everything possible is being done for all of our clients. * We have many TOOLS AND RESOURCES that can make your move go smoothly. We do this everyday and what we don't have the answers to, we can help direct you to the right person or company who does. We want this process to make you FEEL GOOD everytime you think about it!! * From negotiating, paperwork, contracts, municipalities, appraisals, problem solving, inspections, title companies and contractors, we will be WITH YOU every step of the way. 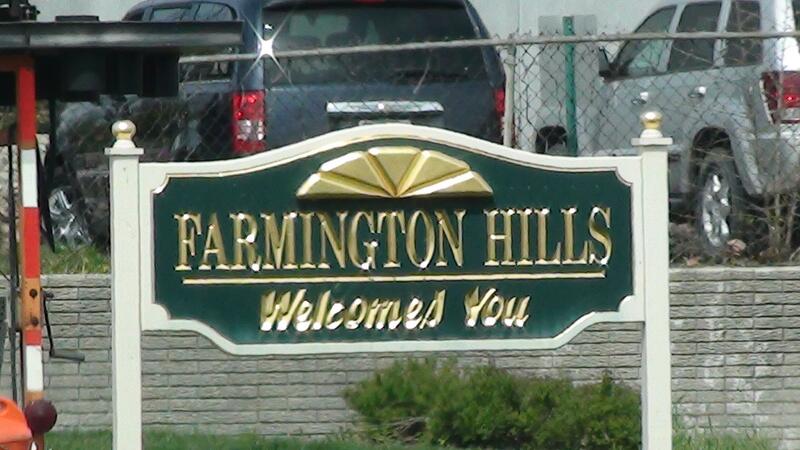 If you're looking for information about Northville/Farmington Hills/Novi and Livonia Michigan homes for sale, this is the place to be! 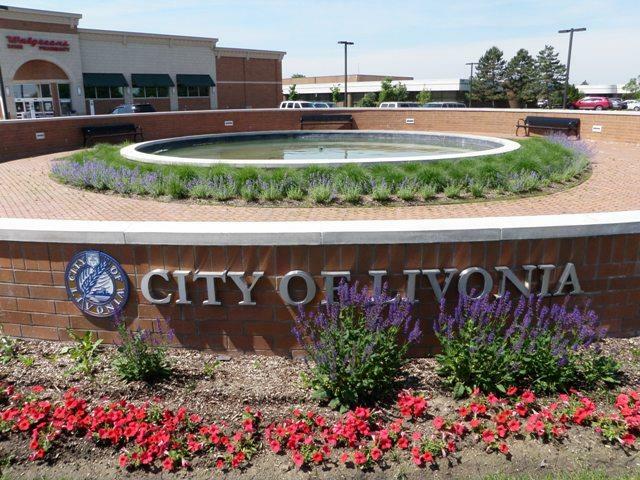 Whether you're already a Livonia Michigan resident, or you're relocating to Northville, you'll find information about Livonia and surrounding communities including Northville, Westland, Novi , Farmington Hills, Farmington, Plymouth & Western Wayne County and Oakland County. 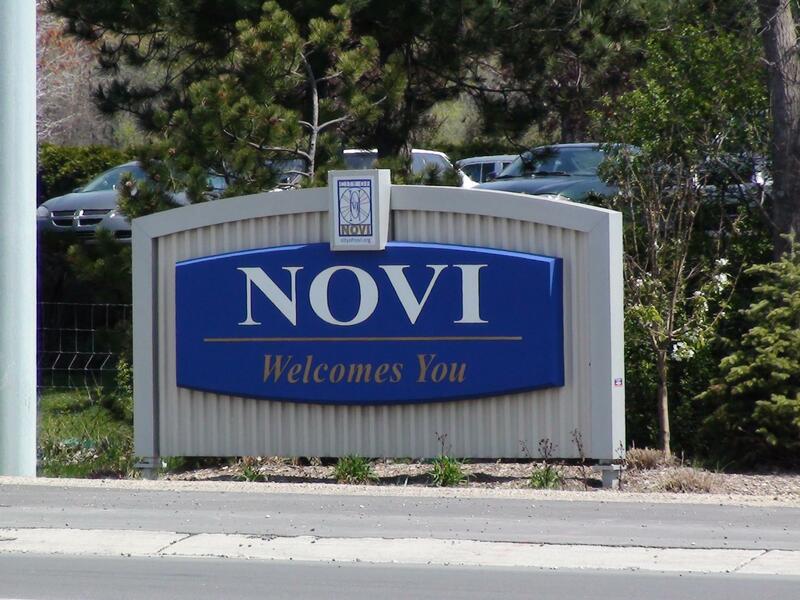 We've also provided loads of other resources to assist you in your Northville/Novi Michigan real estate research, We would love to be your Michigan Realtors!!! Search Northville, Livonia, Novi & Farmington/Hills Homes and Houses for sale - You can search homes and houses for sale, set up an automatic email notification account, check the latest Michigan bank owned properties, all from the comfort of your computer. Search available Livonia and Northville real estate via co-operating brokers and agents who allow their homes to be part of this search. 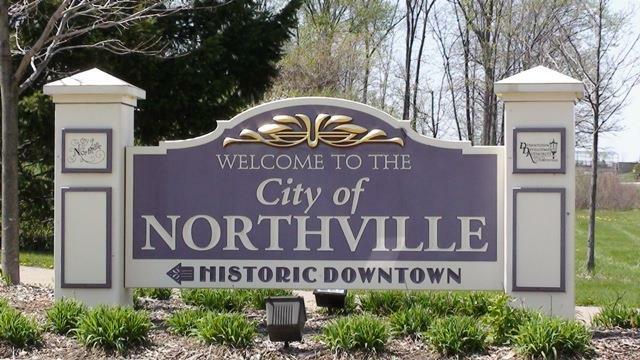 This home search is a great tool to see you're future home if your are a Northville Home Buyer or see your current competition and pricing conditions if you're are considering selling your Livonia/Northville house. Sell my Livonia, Farmington Hills, Northville or Novi Michigan Home or Real Estate using modern technology with traditional sales methods. * For Livonia, Farmington hills, Northville and Novi Home Sellers - You can make sure you are prepared to get the most for your home with just a simple few minute meeting. We also work in other area's by referral. 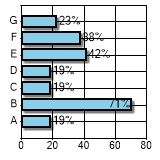 * Strategic Planning using solid statistics that will produce qualtiy results. Advertise to real estate agents/Realtors & potential home buyers effectively. * Modern Technology that can be SHOWN to you in our office or the comfort of your home, whether it's VIDEO MARKETING, PERSONAL TAKING HOUSE TRANSMITTERS , TOP NOTCH INTERNET SEARCH ENGINE OPTIMIZATION, CUSTOM FOR THE HOME, we can SHOW you examples right in your home. I always advise for home sellers to actually see examples of the types of marketing to be done for them. * Don't think all methods of selling your Livonia, Northville, Novi and Farmington Hills Michigan home are the same. Have you ever wondered why two similar homes sold for such a big price difference? I have seen this so many times it makes me curious as well. * Sit down with us for a no obligation meeting today, you will be glad you did. Even if we elect to not currently work together we will make this a great experience for you. Michigan Real Estate home selling tips that get your home sold!! Real Estate home sellers information page. Photo Illustration by Lyne Lucien/The Daily Beast/Photos Getty/Jenny DettrickWhatever revelations the redacted version of the Mueller report may hold, they will not be as disturbing as the behavior of President Trump and his team in the days and weeks leading up to its release. That is not a reference to the president’s panic-tweeting, nor does it refer to his other efforts to distract, obfuscate, or shift blame. Instead, it is acknowledgement of something more insidious that is afoot, something that may be hinted at by Robert Mueller’s findings but which we are now seeing fully realized—a full-scale and disturbingly successful assault on the rule of law in America.Something broke in America in the past week or two. We have been spiraling downward since Trump’s election, but in these early days of spring 2019, we have crossed a line. The president and his men began asserting that they were above the law—and effectively no one in our system did anything to stop them.Attorney General Bill Barr sneered at the Congress and placed himself imperiously above its questions. We saw this, of course, in his handling of the Mueller report. He has kept it from America and asserted—far beyond anything contemplated by statute or hinted at by precedent—that he alone could and should determine what portions of the results of the special counsel’s investigation we would see. This despite the facts that it was paid for by the people and that the release of its complete and unexpurgated findings is essential for Congress to do its duty.In that process, we have also seen him assert—again without basis in statute or precedent—that he was the final arbiter of whether obstruction of justice by the president had taken place. But last week, he went even further, going so far as to imply that law enforcement authorities carrying out their duty to protect America were somehow “spying,” perhaps illicitly, on the Trump campaign.Barr did this despite knowing full well that there was an urgent and proven national security rationale for the investigation. He did it despite knowing the Mueller team confirmed yet again that reason, the effort by Russia’s intelligence community to compromise our electoral process and to support the candidacy of Trump. He disregarded the facts to serve the narrative of his boss but also, shockingly, appallingly, to discredit the work of the law enforcement professionals who undertook the investigation and who, ultimately, report to him. It was equally a betrayal of his oath and of his dedicated colleagues at the Department of Justice.At the same time, also last week, the secretary of the treasury and the head of the IRS determined to violate a law that required in no uncertain terms for them to provide the president’s tax returns to the chairman of the House Ways and Means Committee.Simultaneously, a massive leadership purge at the Department of Homeland Security took place, and it became quickly clear it was because the president and his team were frustrated that officials would not act in violation of the law. We learned that the White House promised pardons to those who break the law, encouraging a crime and abetting it. We learned that they considered an egregious abuse of power that would involve releasing undocumented immigrants in sanctuary cities controlled by Democrats.We saw the president complain that our military would not rough up immigrants. We saw him continue the charade of an emergency at our southern border, which was an excuse for him to illegally divert government resources to an unnecessary, racist vanity project.At the same time, echoing his attorney general and going, as he typically does, to even more outrageous extremes, the president repeatedly called law enforcement officers who investigated him traitors, guilty of treason—a crime that carries with it the possibility of the death penalty. We also discovered, again, all in the past few days, that the president considered appointing his grossly unqualified daughter to be head of the World Bank. Days before we learned he ignored the advice of career professionals from the intelligence and law enforcement communities to grant access to sensitive secrets to that same daughter and her husband and dozens of others who were seen by trained professionals as security risks.It is the stuff of the world's most dysfunctional tinpot dictatorships or self-dealing monarchies. But rather than generating a response from within our system commensurate with the threat, nothing occurred. The GOP leaders in the Senate circled ’round the president and supported his abuses. In so doing, they sent a message that they would never challenge him, much less convict him of the myriad crimes he has committed. The checks and balances our system was built upon are gone. Some have been sold off to the highest bidder—well illustrated when Paul Manafort client and Vladimir Putin confidant Oleg Deripaska, who won a favorable ruling from our Treasury Department despite hideous optics and serious policy objections, announced a multimillion-dollar reward for Senate Majority Leader Mitch McConnell: an aluminum mill in his home state of Kentucky. Worse, one of the reasons McConnell and the GOP are turning a blind eye to Trump’s outrages is that together with him they are achieving the lifelong dream of packing our courts with right-wing operatives. Many of these nominees are unqualified. And some in future cases they may choose party over duty and, from the bench, enable Trump’s onslaught against the rule of law. And so another check is eroded away.Agencies are being left to appointed caretakers, some outside the normal chain of succession, many unconfirmed for their current posts by the Senate. And yet, through all these misdeeds, some who are in a position to challenge Team Trump—many of them well-meaning, experienced opposition leaders—have downplayed or slow-walked the response to the administration’s crimes because they have been worried that to do otherwise might stir too much controversy or distract from other agenda items. This is how democracies die. The rule of law is slowly strangled. The unthinkable becomes commonplace. The illegal becomes accepted—from violations of the emoluments clause to self-dealing to federal election law crimes to serial sexual abuse.What once was black and white blurs into gray. Right and wrong, old principles, enduring values, fade from memory. Authoritarians arrive in our midst not in tanks but in bad suits and worse haircuts.I have long thought our system was better than this—more resilient. But candidly, I'm no longer sure. I remain hopeful... hopeful that the next election cycle can redress these manifold wrongs, hopeful that the courts will do as many have done and block Trump’s worst impulses.But it will not be easy. And the next election will be too close. Trump may be with us for six more years.Why? Because we allowed ourselves to become inured to the unthinkable. We are dying the death of a thousand cuts. Right now, these past few weeks the president and his band of thugs have been winning. They have become unabashed in their attacks on the law. If the Mueller report comes and goes, finds wrongdoing but that translates into no price for Trump, they will only be more encouraged.And if in the future courts rule against them but they feel empowered as they seem to be now, it is not unrealistic to imagine they might ignore judicial decisions, daring defenders of democracy to find some way to enforce them. It is not far-fetched any longer. We already must ask: What if the treasury secretary violates a law as he did last week and no one arrests him? What if the president steals from us, lines his own pockets and those of his family, and makes common cause with our enemies and he goes unpunished?Their crimes will only grow more egregious and their ways will only grow more ingrained in our system. Their violations will in fact become the system itself. Corruption will be the norm—or more properly, greater corruption, since it was corruption that got us here in the first place.Our only hope is recognizing the seriousness of our situation. This is not politics as usual. This is not an erosion of what was. This is a full-blown crisis, the greatest American politics has faced in half a century—perhaps much longer.It is not a time for equivocation. It is not a time for patience. It is time for those who seek to protect the rule of law to step up to protect it or the chance may not soon again return. It is a time for our political leaders to recognize that the costs of silence and inaction far outweigh the potential divisiveness of launching the impeachment process. It is time for presidential candidates to step up as leaders of the Democratic Party and insist those who would systematically undermine our system and its checks and balances be held to account. It is time for committees on the Hill to demand respect for the law, issue and enforce subpoenas, challenge administration officials who prevaricate and dodge questions at hearings with contempt of Congress rulings. It is time to bring matters to courts and to defend the rule of law there. And it is time for regular citizens to demand action, to pressure elected officials, to take to the streets if that is necessary. We can’t let fear of the anticipated intransigence of a corrupt Senate or courts stop us from demanding the remedies our system requires and our founders saw as essential in situations just like these.In addition, it is time for all those who would seek to divide the Democratic Party against itself at this time of national emergency to step aside. The ultimate cure for the disease of Trumpism, this debilitating affliction that threatens what is best and most dear in our system of government, is defeating Trump. We must remove him and replace his defenders in Congress, and then ensure that after 2020 steps are taken to guarantee we never again can sink to the level at which we are now struggling, a level at which a system that has taken 243 years to craft, cultivate, and evolve is in jeopardy because of the greed, corruption, ignorance, racism, and contempt for our values of the few bad men and women who lead the Republican Party, the foreign enemies that support them, and the misguided special interest groups and voters who have empowered them.Read more at The Daily Beast. The metal rooster which perched on the top of Notre-Dame's spire was found in the rubble on Tuesday and appears to have been spared the worst of the fire. “It is dented but properly restorable,” a Ministry of Culture spokesman said of the rooster, which contains three relics that may also have survived the blaze. As the rooster was partially crushed when it fell off the spire, the extent of the damage to its contents is unknown. Stored inside the rooster is one relic of St Denis, one of St Genevieve and one of the thorns from the crown that Jesus Christ wore at the Crucifixion. The rooster has served as a "spiritual lightning" rod for Notre-Dame, according to the cathedral's website. The rooster was perched on top of the spire Credit: AP/Diana Ayanna However, the spire itself - which was seen tumbling off the roof of the Notre-Dame on Monday to the horror of unlookers - is destroyed, having melted in the heat. It came as the fund set up to help rebuild Notre-Dame is expected to pass one billion euros as Emmanuel Macron pledged to restore the fire-ravaged cathedral in five years. Donations from worshippers and wealthy French billionaires and corporations have seen hundreds of millions of euros raised since the cathedral was engulfed by flames on Monday. Contributors include Apple and magnates who own L'Oreal, Chanel and Dior, as well as Catholics and others from around the world.